For the ninth consecutive year, Magazine Journalism alumni have picked up prizes at the 2016 Professional Publishers Association’s (PPA) New Talent Awards. The annual celebration aims to recognise the rising stars of the publishing industry. Mona Tabbara, Editorial Assistant at Virgin Media Presents, won the award for Best Graduate or Intern of the Year. Mona was described by the panel as “the complete package” and a “genuinely impressive winner”. 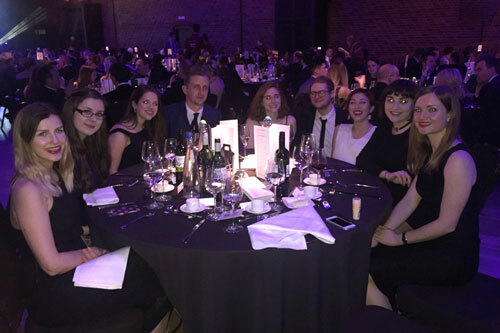 City alumni received 16 nominations this year and were shortlisted in categories ranging from Editor of the Year to Best Graduate of the Year. In the Most Promising Postgraduate Student of the Year category, City alumni received eight out of the ten nominations. We are thrilled that for the ninth year running our students have won these prestigious magazine awards. The competition gets stiffer every year, so it’s a huge accolade and testament to their hard work and the rigorous nature of the course. The winners were revealed at a ceremony held on Wednesday 9th March at the Brewery.